Scroll down to find many assorted St Patricks Day recipes. Saint Patrick's Day is celebrated in honor of Saint Patrick, the patron saint of Ireland. Saint Patrick is credited with bringing Christianity to Ireland. 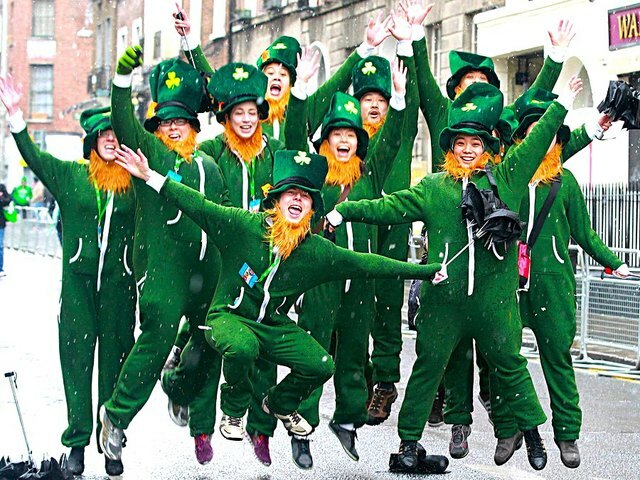 Saint Patrick's Day celebrations in America usually involve wearing something green and marching in parades. Below you'll find recipes for cakes, pies, and other American dessert favorites to celebrate Saint Patrick's Day. All of these dishes are standard variations of some of America's most popular recipes. Why so popular? Because all the recipes listed here are inexpensive, easily prepared, and entirely delicious. Just remember - these are sweets, so moderation is key. Click any link below for other easy dessert recipes and smart serving suggestions. Angel Food Cake - a light type of sponge cake made with egg whites. Apple Crisp - a dessert consisting of tangy baked apples topped with a crispy crust. Black Forest Cake - a dessert made from several layers of chocolate cake with whipped cream and cherries between each layer. The cake is decorated with whipped cream, maraschino cherries, and chocolate shavings. Crème Brûlée - a sweet dessert made with warm custard underneath a burnt crispy topping. For St Patricks Day recipes, color the custard green with food coloring. Dirt Cake - any of a number of cake recipes that use Oreos, chocolate pudding and other ingredients to create desserts that look like dirt. Gooey Butter Cake - a recipe made popular in St. Louis Missouri. Italian Cream Cake - a deliciously creamy creation. Key Lime Pie - a light green pie made from a mild lime variety found only in the Florida Keys. A perfect choice for St Patricks Day recipes. Lemon Meringue Pie - a pie featuring a sweet smooth lemony filling topped with lighter-than-air meringue. Lemon Pound Cake - especially good when made with buttermilk. Red Velvet Cake - A rich, deep red chocolate cake creation with sweet creamy icing. 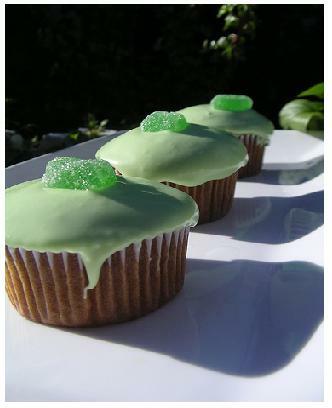 St. Patrick's Day Recipes - Three great green party recipes. Need more Green? Try This. Strawberry Cake - the individual shortcake variety. Yellow Cake - Basic party cake recipe. Just add icing.